Discover the Arts of Fire: porcelain, enamel and stained glass are deeply imbedded within the city’s identity. In fact, Limoges belongs to a very exclusive circle of nine European porcelain producing cities. Not only is Limoges full of boutique sellers, quirky craft shops and ample places to try your hand at making something beautiful, if you look around you will notice that precious artefacts of the arts of fire adorn the façades of ancient houses and fountains as well. To learn a little more about it, pop into the Adrien Dubouché National Porcelain Museum or visit the Casseaux Porcelain Kiln. In dulge in Art and History: Limoges enjoys over 2,000 years of rich and diverse history. It is so important as a site of heritage, that it has achieved the formal status of being a “Ville d’art et d’histoire” (City of Art and History). There is plenty to discover in the city’s various museums and galleries and it lies on the trail of the Richard The Lion Heart walk. Places worth a visit include: the Museum of the Resistance, the “Bénédictins” railway station, the Fine Arts Museum, The Butchers’ House, The Saint-Etienne Cathedral, the Saint-Michel-des-Lions church and much much more. City Nature: Limoges is made all the more beautiful by its many gardens and city naturescapes, while the river Vienne, that gave birth to the city, cuts through the heart of it. Check out the Victor Thuillat, The Evêché gardens, the Botanical Garden or the fitness trails of the La Bastide wood if you prefer to stay out in the fresh air. Be Entertained: Once you are done indulging your curiosity, you can relax and take advantage of the other leisure and entertainment activities that Limoges has to offer. Choose from great shopping, outstanding restaurants and bars, and regular major events. Limoges has a fantastic, English-language tourism website (the source of the porcelain vase picture) where you will find all the information you need. 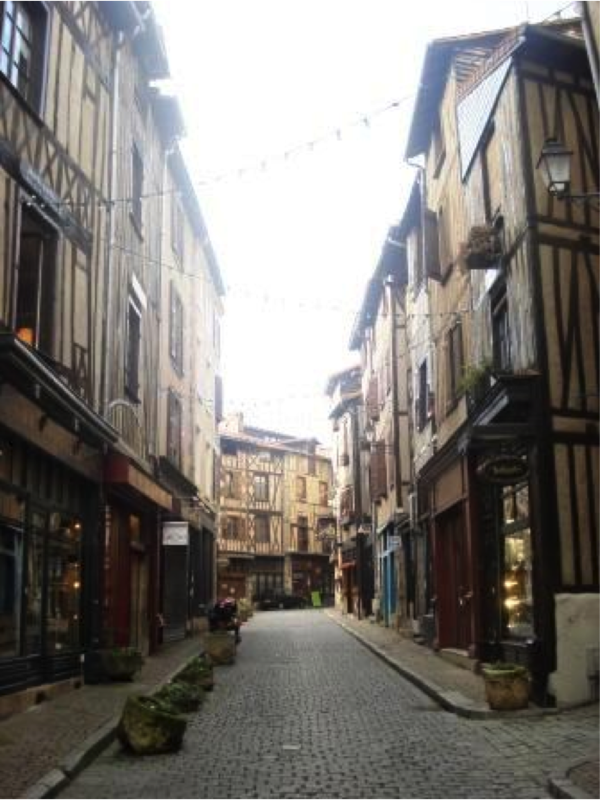 Getting to Limoges from La Croix du Reh is easy and takes only 30 minutes by car and we have hundreds of leaflets of things to do and see in Limoges and all over Limousin that you can browse at your leisure.